"Hilariously irreverent antidote to a cloying Christmas." – Movie Gazette. 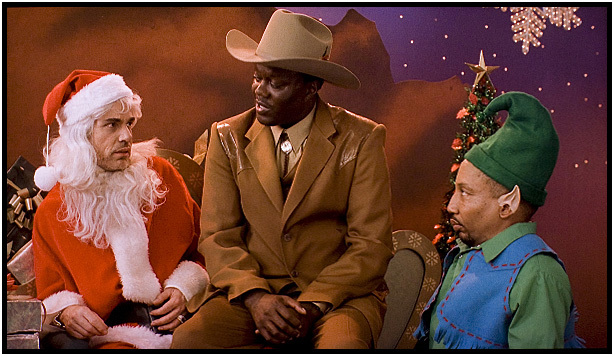 Willie (Billy Bob Thornton) & Marcus (Tony Cox) are department store Santa & Elf. They are also thieves who raid a different store in a different state every Christmas Eve. But no Robin Hoods, these. Willie is a foul-mouthed boozer that would make W.C. Fields blush with shame – and he probably don't like dogs much neither. Marcus is the brains behind their annual scam. He complains about Willie's outrageous behavior, but knows this dwarf wouldn't be able to find just anybody to go along with his outrageous scheme. 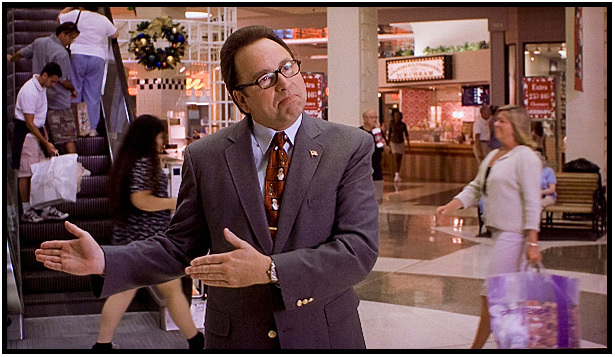 At this, their latest, and possibly last store, Willie is being trailed by the store manager, (John Ritter, in his last film), who gets a peculiarly voyeuristic delight in reporting Willie's suspicious transgressions to his seemingly unconcerned security chief (Bernie Mac). Meanwhile – not as much to his surprise, as ours - Willie is seduced by a local bartender (the very tasty Lauren Graham). Sue manages to invest some heart into this otherwise heartless misadventure. Back at the store, Willie dismisses one kid after another with relentless insulting remarks. 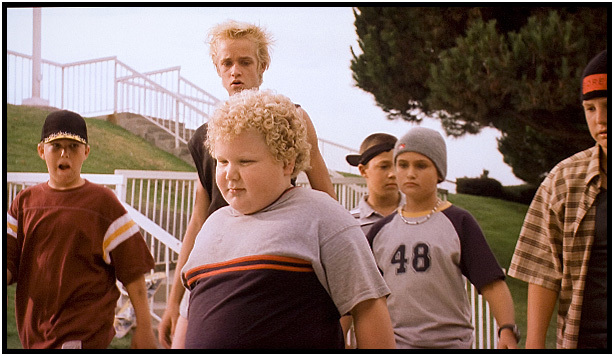 One chubby, not very bright kid (Brett Kelly) isn't discouraged so easily. When Willie needs to find new digs he invites himself into the Kid's home, now occupied by only by the Kid and his senile grandmother (think: Nurse Diesel, 50 years later). Will the Kid and Sue eventually find their way into whatever's left of Willie's sense of self-respect? The score of 8 indicates a relative level of excellence compared to other Blu-ray DVDs. The score in parentheses represents: first, a value for the image in absolute terms; and, second, how that image compares to what I believe is the current best we can expect in the theatre. Perhaps the most important thing one can say about the image quality of this disc is that it is unremarkable. I suspect that its tendency to block up the blacks reflects the original movie's limitations. Otherwise, it is neither poor, nor of demonstration quality, yet is an improvement over the SD DVD in respect to detail and color. It has no blemishes or faults to speak of, but neither does it stand out in any way. This should not come as a surprise, given the material – but then Scary Movie did surprise. My observations about the Blu-ray image applies similarly to the audio. It is adequate and unexceptional. After a few previews, we are led to a single page where we can choose between the "Director's Cut" and the "Unrated" versions of the movie. Clicking on either one takes you to exactly similar menu pages, from either of which you can redirect yourself back to the other version. The thumbnails do not expand, but they have chapter titles, small though they are. 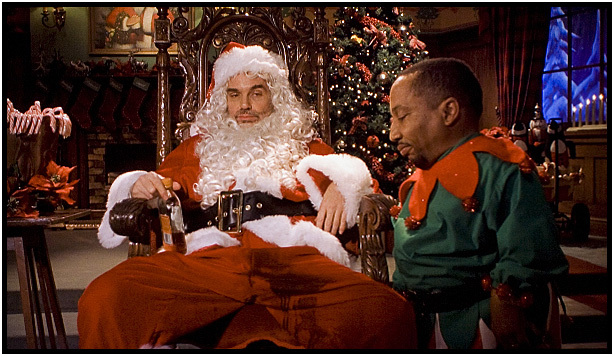 The most important Extra Feature is the inclusion of two different cuts of Bad Santa. The commentary track by Terry Zwigoff (available only on the Director's Cut) makes it clear that it is the Director's Cut that represents his true intentions for the movie. Just to complicate matters, neither of the versions on this disc is the original theatrical cut, which ran three minutes longer than the Director's Cut. 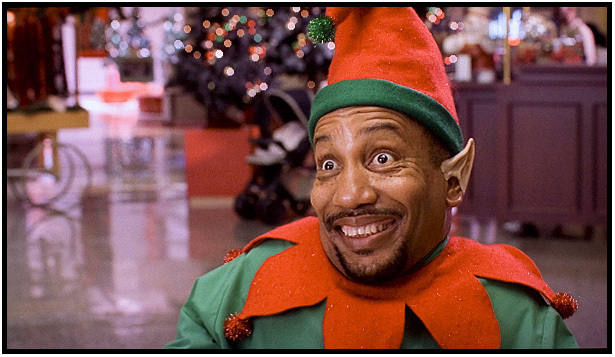 The theatrical cut was released on DVD in 2004 at the same time as the Unrated version, which was, for that purpose, titled Badder Santa . Badder Santa is the same as the Unrated version that appears on this BRD, here referred to only as the "Unrated" version. I will not trouble you with the difference in the text. 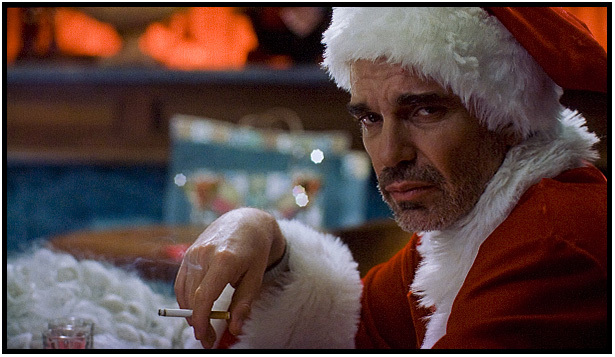 Bad Santa is one of those movies that really confronts you about your sense of humor and about what you can tolerate in the privacy of your own company in your living room – though, ideally, you'd probably want to watch this with friends and a rack of six-packs. I don't really see much purpose in upgrading, not because the SD is so good, but because there is nothing about the film that cries out for it. 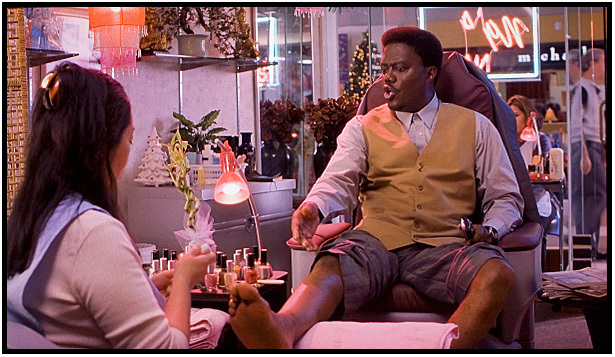 On the other hand, if you want the movie fresh, this is the way to have it.